A septoplasty is a procedure performed on individuals who have difficulty breathing through their noses and often complain of constantly feeling stuffed up. While there are a number of factors that can cause this problem, septal deviation, or a deviated septum, is one of the most common reasons. 1 What Causes a Deviated Septum? The septum is the cartilage/bone that divides the nasal cavity into 2 sides. It also is the major support structure of the lower two-thirds of the nose. Ideally, it should be straight and lie in the midline. When it is deviated to one or both sides, it can block the ability to breathe through that side(s). If the septum is deviated severely, one may also notice that the lower bridge of the nose is twisted or crooked. Additionally, the nasal tip may also be leaning more towards one side. Septoplasty is a technique where the deviated portion of the septum is set straight. Typically, when there are no cosmetic concerns (i.e. the tip and bridge of the nose are midline), the entire procedure can be performed entirely through the nostril – meaning there will be no visible incision. When the deviation is so severe that the tip and nasal bridge are deviated as well, an open approach is often required. Turbinate reduction surgery involves shrinking the size of the turbinates (ie. normal, spongy structures in each side of your nose) to open up the nasal airway. It is quite common to have an abnormally enlarged turbinate associated with a deviated septum. A septoplasty and turbinoplasty are required in such cases to maximally improve breathing function. Rhinoplasty and septoplasty are very similar procedures and people are often confused by their actual meanings. Septoplasty generally refers to the correction of the septum to facilitate breathing through one’s nose. This is a functional procedure in its purest definition – it helps you regain the function of your nose (i.e. to breathe). Rhinoplasty, on the other hand, is considered a cosmetic procedure. Its primary goal is to improve the appearance of the nose. Usually, rhinoplasty involves the use of septal cartilage to help reshape the nose or provide long term support. The harvest of such cartilage is very similar to a septoplasty. Rhinoplasty that includes aesthetic improvements, as well as correction of the nasal septum is more appropriately termed a septorhinoplasty or SRP. You have options if you have a deviated septum. A septoplasty can go a long way in improving your quality of life. Problems like nasal congestion, sinus headaches and snoring can be remedied with surgery, and free, unobstructed breathing can finally be enjoyed. 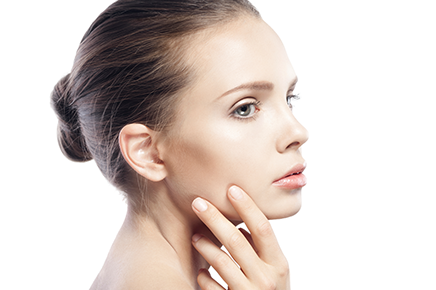 As a Double Board Certified Plastic & Reconstructive Surgeon and Ear, Nose and Throat Surgeon, I have a significant amount of experience in aesthetic rhinoplasty as well as functional nasal surgeries for breathing problems. Whether your goal is to improve your breathing, enhance the shape of your nose, or both, I can provide you with expert advice and help in achieving your goals. Please call my Irvine office or schedule a consultation here, and I will be more than happy to answer all of your questions.